Scroll down for a detailed spreadsheet of what I carried with me on the CDT. My pack’s base weight was about 12.5 pounds without food and water. Gabriel’s base weight was around 13 pounds and includes ~2 pounds of our tent system. We use a Six Moon Designs Lunar Duo, a single-wall, fully enclosed (bug free! ), tent with enough room for a 6’4″ person to not bump into the ceiling. The trekking poles I carried weigh a pound, and are used as the poles for the tent. Labor Day weekend 2013, a trip with PCT friends Daybreaker and Seahorse. 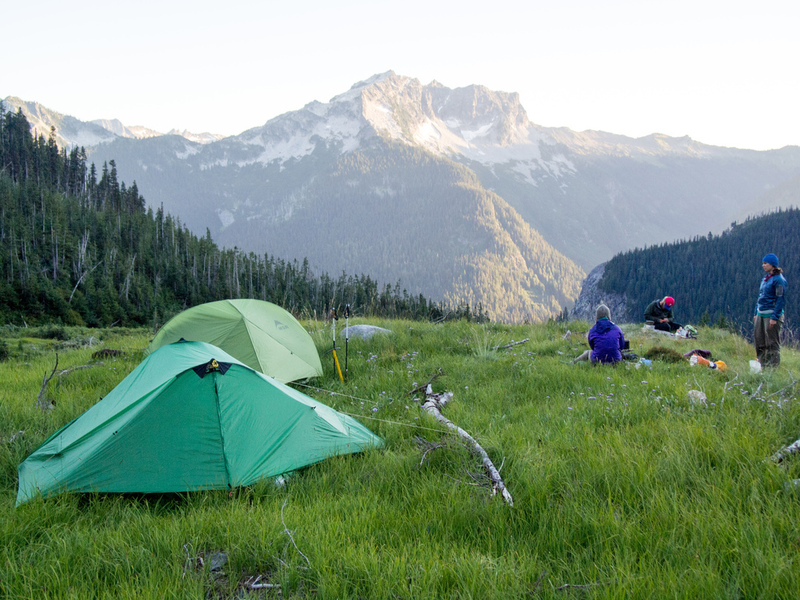 We camped on the slopes of Luahna. Mount Saul in the background. We could probably lighten our gear systems and simplify the list below (carrying 101+ items mentally feels like a lot of stuff). But some of the “extras” are carried for safety, such as a robust first aid kit and extra layers. And while I’ve deemed other items as luxurious, I’ll be carrying them because they contribute daily to my enjoyment of the trail (book and pillow are helpful for falling asleep and sleeping well). My general rule is my pack base weight needs to be less than the weight of our cat. Sleeping Sea to Summit ultra-sil dry sack 2.2 ALL Thanks Laura for this bag oh so many years ago! Sleeping Feathered Friends Hummingbird sleeping bag 25 ALL Thanks friends from CLC/Forterra for this gift in 2011! Snow CAMP Corsa ice ax 9 Colorado Thanks Carla! I will miss my beloved BD Raven Pro, but appreciate carrying less weight. Toiletries Dental floss 0.2 ALL I will be on a flossing challenge this hike. Warmth Smartwool hat 2.5 ALL Thanks Nathan for finding and delivering the hat to me after I lost it near Red Pass in the Glacier Peak Wilderness! Wearing Columbia Sportswear long sleeve sunshirt 6.2 ALL Thanks Jeff and Ilana for the great gift! 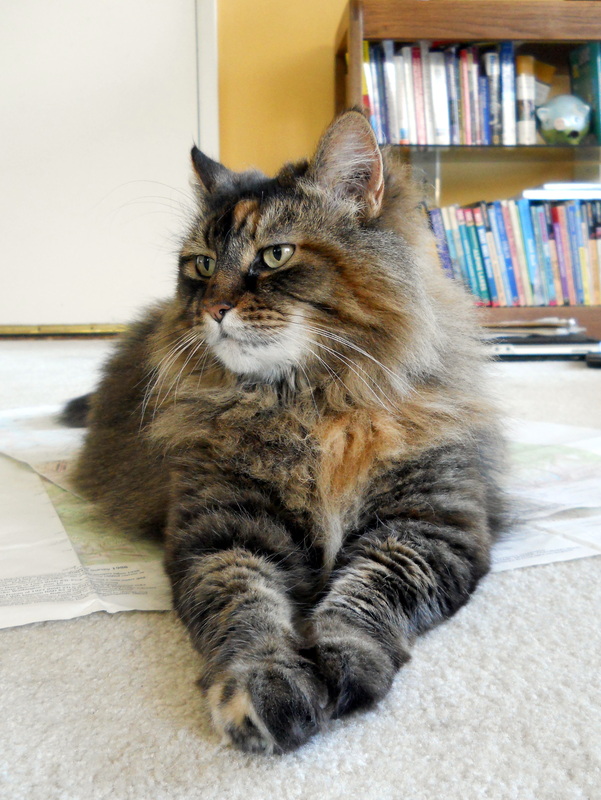 Gracie, 12.3 pounds of fluffy cat greatness. My benchmark for how much my pack can weigh without food or water.